By TLex To mark its 10th anniversary, BLENDER AGENCY have commissioned a custom Rolex Military Submariner from PROHUNTER. Its specs and modifications have been selected by company founders and avid Rolex collectors, Magnus Thorud and Kyrre Alver. Oslo, Norway based, Blender Agency is one of the most influential and forwardlooking fashion agencies on the Scandinavian fashion scene. They represents some of the most sought after high-end and contemporary high-street fashion brands. 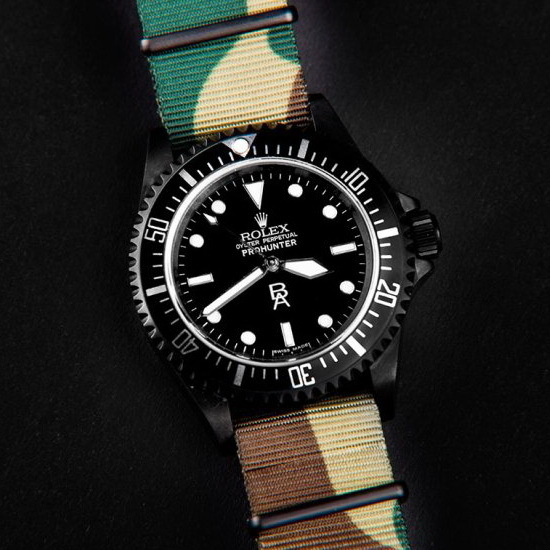 The Rolex Vintage Military Submariner from 1972 is one of the most sought after vintage Rolexes in the world. It was originally commissioned by the MOD (British Ministry of Defence). It comes with fixed lug bars chosen to reduce weight and to optimize wearability with the G10 NATO straps. The Blender Agency x Prohunter Military Submariner's 40mm case features a stealthy DLC (diamond like carbon) coating along with item specific high-tech military ceramic inserts from Prohunter in Switzerland. 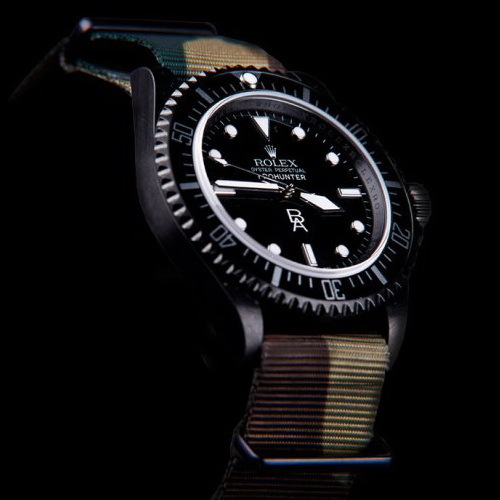 The Blender Agency x Prohunter Military Submariner comes with a custom bezel insert with full 60 individual minute markers accompanied with the BA mongram logo and a monochrome Prohunter logo. 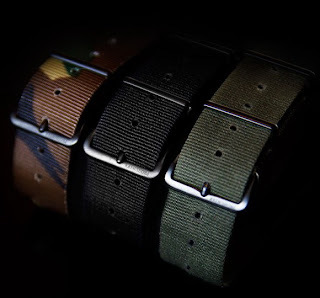 In addition to the standard black and green Prohunter engraved G10 NATO straps, the Blender Agency x Prohunter Military Submariner comes with a custom Prohunter engraved camouflage G10 strap. 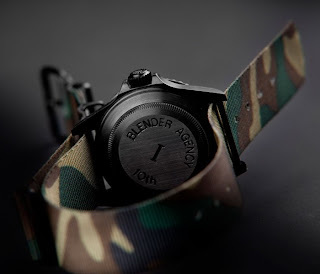 Limited to 10 pieces, each watch comes with an individually engraved caseback from 1 to 10, and "Blender Agency 10th". 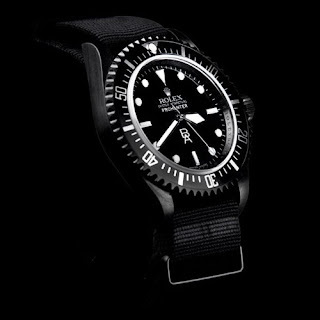 The watch is available upon special request.